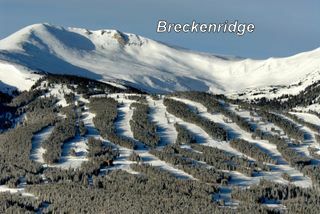 Breckenridge is enjoyed by families, singles and spring breakers. Because of its base elevation of 9600 feet and a summit elevation of 12,998 feet, Breckenridge is blessed with an average annual snowfall of 305 inches. This is enhanced by the resort's amazing snow-making capacity. Copper Mountain offers beginner slopes, intermediate and expert terrain with their Double Black Diamond slopes on the peaks. With skiing from coast to coast, there is a resort ideal for you. Out east the skiing is gentler, icier and often windier, as they say, but there is nothing like a brief slope to teach someone how to race - try Killington or Lake Placid. The New England charm is America's answer to Dickensian folksy, and knitted sweaters unite for a superb getaway. Central skiing around the Rockies is what makes American skiing famous; Utah's steeps and 'greatest snow on earth' are nirvana for those who like the ski scene stalled at 1970 - stick to the Cottonwood canyons. 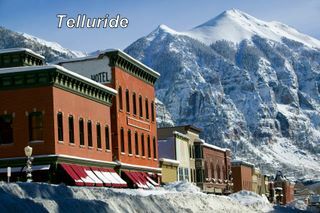 Colorado ritzes things up with respectable terrain and good, dry snow, set off by luxury accommodations and custom-built towns - Vail is the biggie, but Aspen has diversity if you can stand the extra couple hours in the car. Wyoming's Grand Targhee and Jackson Hole are legend in cow country. Ski until your legs are jelly, then have a beer in a saddle to release your adductors. West coast skiing is famed for the 'Sierra Cement', but don't believe everything you hear. Mammoth Mountain and Squaw down south offer big-time thrills, and Washington's Crystal Mountain and Mt. 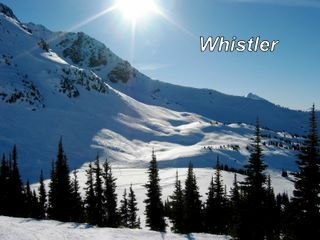 Baker are north-western treasures - with powder to boot. 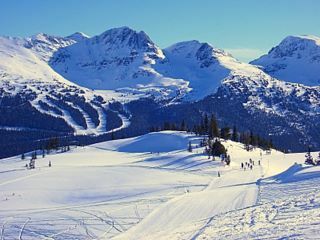 The dropping Canadian dollar has again made Canada the destination for a luxury ski vacation at a budget ski vacation price.